Messenger BBM is constantly updated to improve the user experience with a new set of features. In the new version, the user can emoji from a personal photo. Feature ii is called BBMoji. In addition, BBM also improves photos and videos in groups, as well as many other customizations. BBM Messenger has thousands of static and animated stickers. 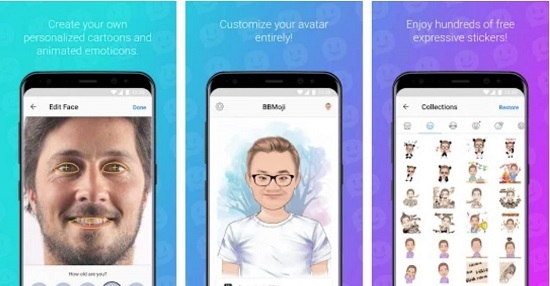 With the latest version of BBM Messenger, users can now become part of this world with BBMoji, which turns user images into expressive and funny stickers. 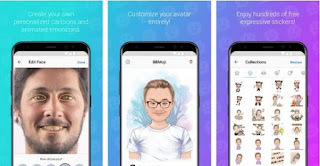 Now, creating personalized cartoons and animated emoticons can be done in just a few steps. Choose from different forms of expression, which match the user's mood, and share the stickers you've created while chatting with your friends on BBM. With this feature, BBM Messenger is now more fun. The latest version of BBM Messenger also adds a new way to interact with user contacts in the Timeline and Group enhancements. The addition of some new (darker) background colors for chats, sticker management options, and features for sharing content with multiple contacts are also available with this latest version. 0 Response to "Fun, Now BBM Can Send Emoji from Private Photos"